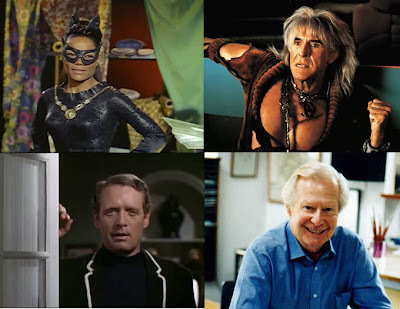 I was sad to hear that not only did we lose Eartha Kitt (singer and 60's Batman series' Catwoman) on Christmas Day 2008 at the age of 81 but also Ricardo Matalban (KHAAAAAAAAAAAN!) on January 14th 2009 aged 88, Patrick McGoohan (The Prisoner) on January 13th aged 80 and UK artist and BBC childrens TV host Tony Hart on the 18th of January 2009 aged 83. 4 losses in such a short period of time. R.I.P to all.